Today my daycare kiddos requested a "sprinkled cookie". I recently made Sugar Cookie Bars which I thought had a great colorful topping and tasted wonderful...but no, the request was for something like a kabajillion sprinkles on a cookie. Beings it is Monday I figured a cookie would be a great way to bribe er, I mean...remind the kiddos to be good all day. Yes, it was a total bribe. Mondays are rough! Today was pinching day. Since all the pinching was going on, I knew I didn't have much time for making a sugar cookie dough. I had just picked up several boxes of cake mix for my hoard in the cupboard and figured I'd make a cake mix cookie and just add a "kabajillion" sprinkles to it. The result was fantastic for the kids. They kind of remind me of those plastic cookies for play kitchens. Due to the high amount of sprinkles in them, they taste, well...sprinklish. The squeals of delight from the kiddos though showed me that they didn't care about the taste. 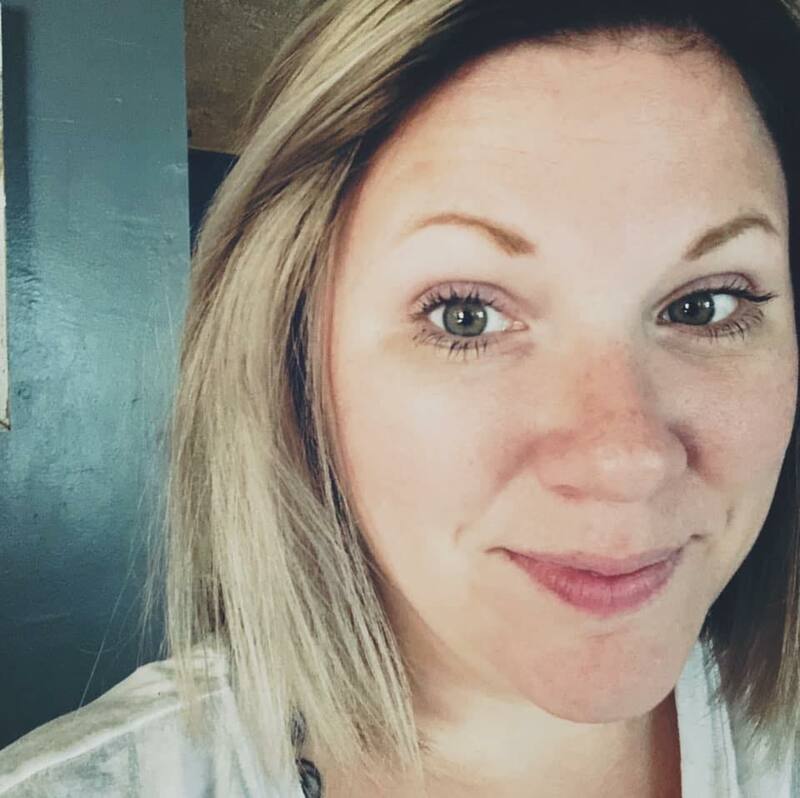 They looked beautiful to them. 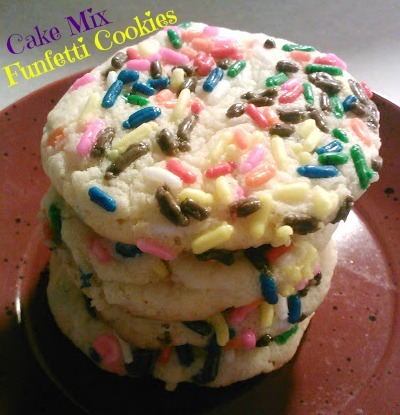 Combine dry cake mix with baking powder. Beat in the vegetable oil. 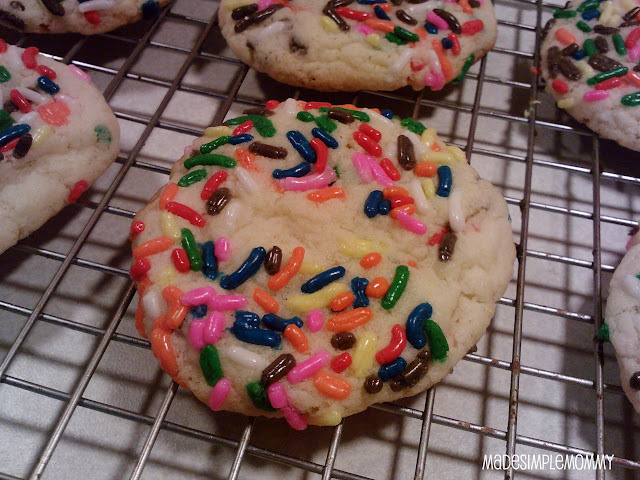 Mix in 1/2 cup of the sprinkles. 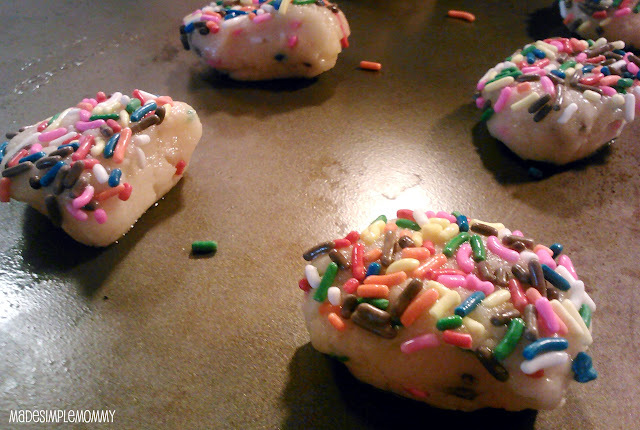 Roll into 1 inch balls and dip one side of the ball into the remaining 1/2 cup of the sprinkles. Place, unsprinkled side down on a cookie sheet. Bake for 10 minutes, or until edges are slightly brown. Remove onto cooling rack and let cool completely.